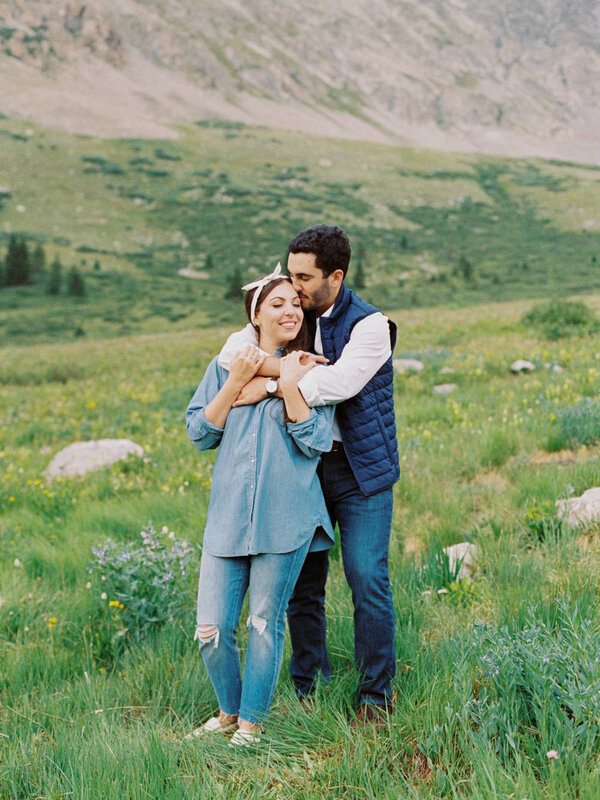 Alissa & Noah flew in from NYC for their mountaintop engagement session near Vail and though it was raining all around us, the weather held off relatively well for us to capture these beautiful images. 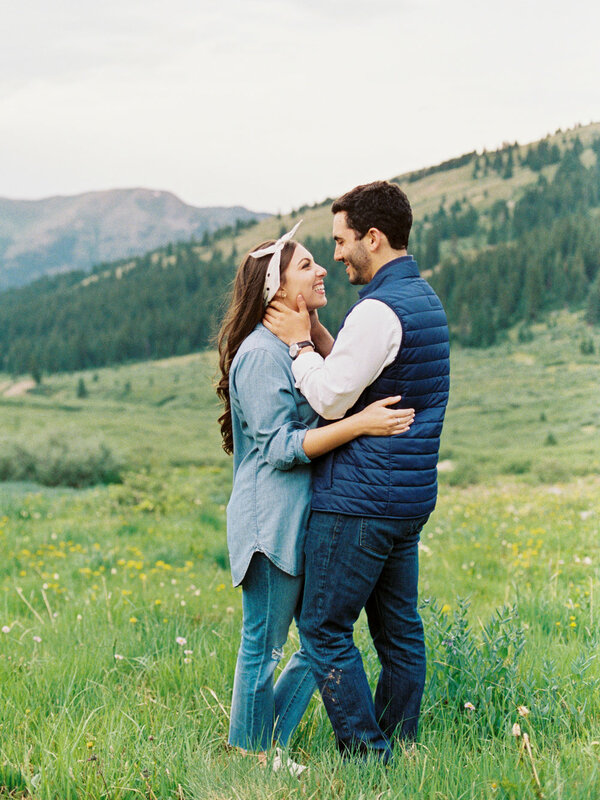 From the start, it was so fun planning this session with Alissa! 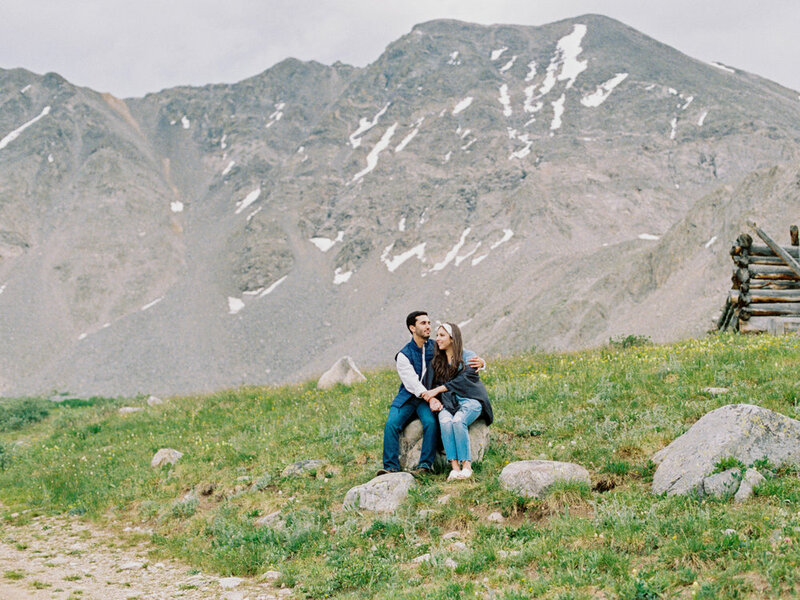 Since these two are from Manhattan and will be getting married in Vail next June, they really wanted a location that captured the incredible Rocky Mountains to help set the tone when sending out their Save the Dates. 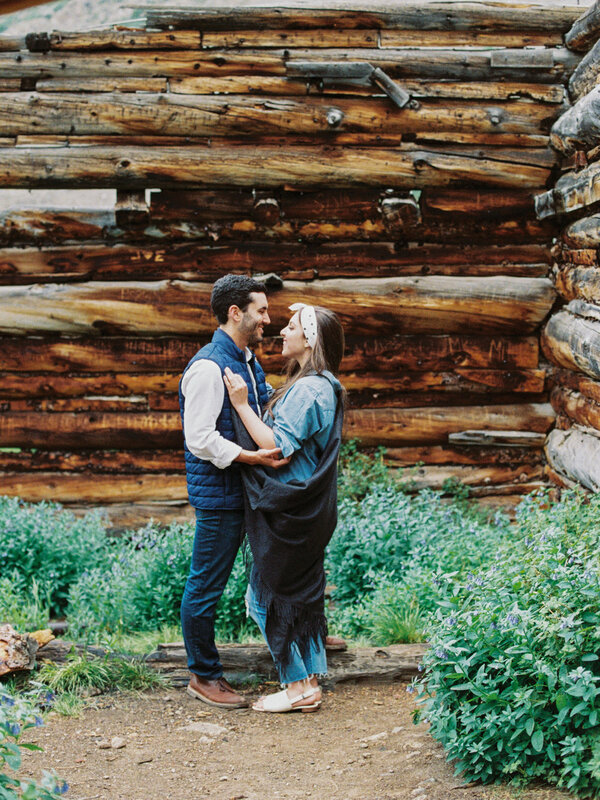 I was so excited to start scouting the perfect location for these two! Alissa and I shared mood boards back and forth and I really connected with the feeling she wanted captured in their images. 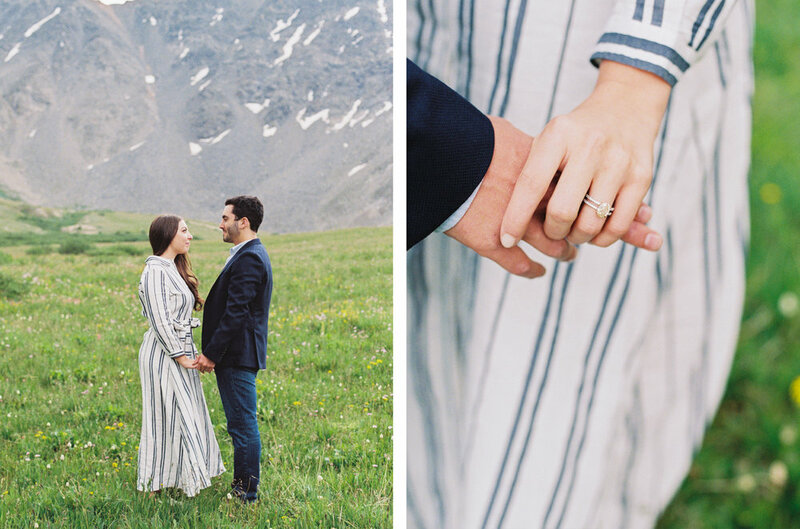 We were so surprised by the number of wildflowers blooming on the mountain too and I just love the 'Sound of Music' vibe that it gives to their whole session! Congratulations, Alissa & Noah! 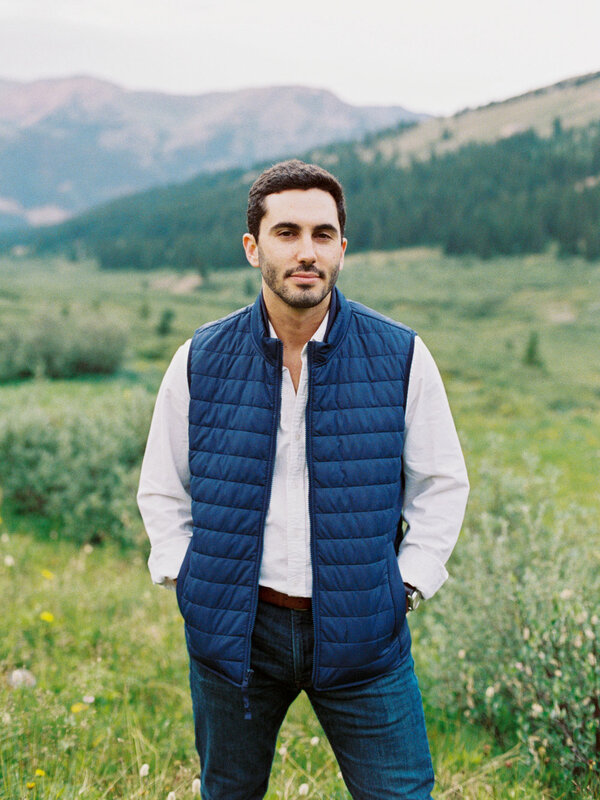 I am SO excited for your summer wedding next year!